Posted by Jonny Greenwood on 11/28/2018 2:11:14 PM. EPub is one of the most popular e-book formats. But it's not widely used like PDF - a format which can be read almost on any platform and device. For people who have lots of ePub e-books, it's a pity that you can't read these books on Amazon Kindle or other devices which don't support ePub. It's necessary to convert the ePub e-books to PDF. This article will tell you how to convert ePub to PDF on Mac OS with three kinds of converters. Epubor Ultimate for Mac is one of the best e-book converters. You can use it to convert ePub files to PDF easily. One of its important features is DRM removal. Any ePub files with Adobe DRM or Nook DRM can be decrypted. If your books are saved in the default path, it will detect and upload them automfatically. You can see the books under "ADE" or "Nook" icon. If they are not listed on the left side, we can simply click the "Add" button to add new ePub files or tap setting icon on the upper right corner to set your eBook path, then they will be loaded automatically. Simply drag them to the right main interface of this tool, their DRM can be removed the time they are added. You can add one more ePub e-books a time and it supports batch conversion. Set the output format as "PDF" and click the bulue "Convert" button and then you'll get new PDF files. Click the button below to download Epubor Ultimate for Mac. 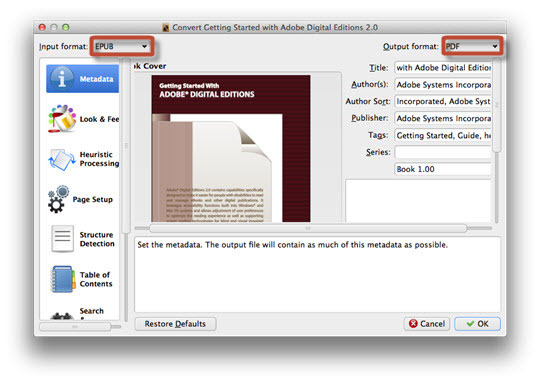 The Mac ePub to PDF is specially designed for converting ePub to PDF. It owns the main features of Epubor Ultimate like batch conversion, drag and drop, fast and high quality converting. The program is very easy to use. All you need to do are only 2 steps: add ePub files and click the converting button. 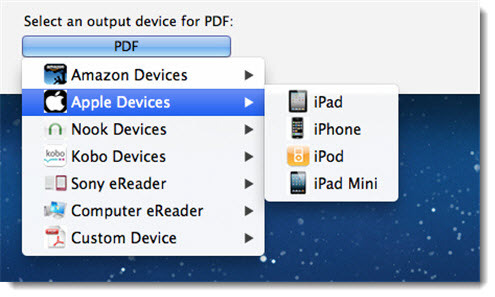 If you want the PDF to suit your e-book reader better, you can choose a target device. Calibre is an excellent e-book management but also an e-book converter. It supports many custom options. But for newbies, its interface looks like complex and messy. 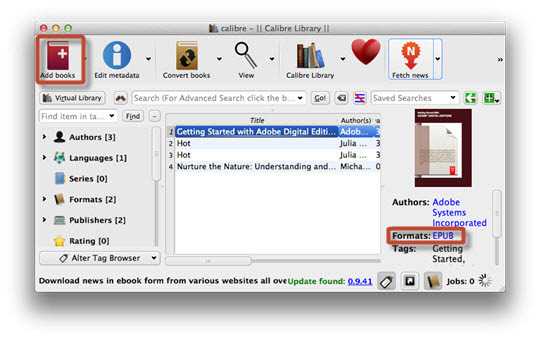 If you are not familiar with Calibre, here is a tutorial for your reference: Convert ePub to PDF Calibre. Click here to download the latest Calibre for Mac. 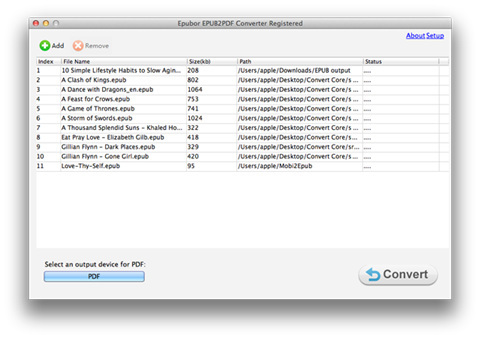 Now with these 3 converters you can easily convert ePub to PDF on Mac! But perhaps you also concern other ways of converting epub to pdf. About this topic I have written in-depth guides for you, and collected them together. Friendly tips: Is it possible to edit PDF on Mac? 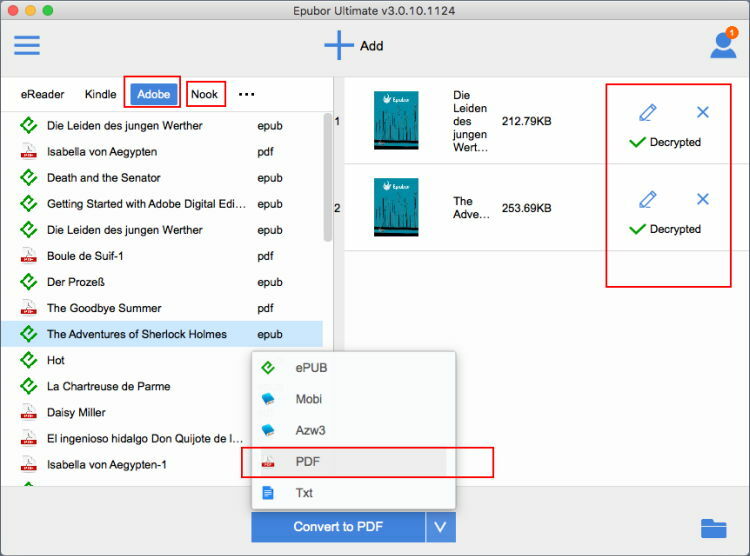 By defaul epubor ultimate tool won't help you edit the converted PDF files. It only helps remove DRM and convert eBooks formats between Kindle, ePub and PDF. But here the good news is that, you can use PDF Expert from Readdle and purchase it with an exclusive 30% off coupon: EPUBOR-NWSL. This is authorized by Readdle official site.